I have to say that I got the inspiration from the Alexander Wang Spring 2014 collection, it's one of the best collection ever ! I love the idea of the opened shirt. And have you heard about the H&M new collaboration ? Alexander Wang is going to be the new designer to create a collection for H&M !! I can't tell how much I'm excited. I didn't like the H&M collaboration with Isabel Marant last year because I'm not a big fan of her but god the next one is Alexander Wang ! I can't wait for November 6th. I'm preparing myself for the madness that will hit the H&M stores. I love your hair! So long and pretty :) Lovely outfit dear. This is such a chic outfit! 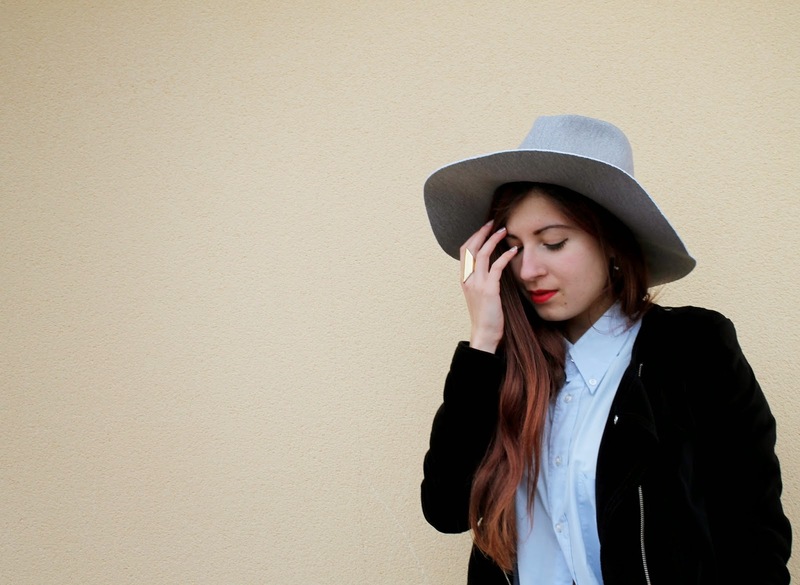 I love the pale blue too, it's one of the hottest hues this season and the hat is lovely! Also loving the pleather shorts and the strappy sandals. The open shirt is such a good idea, very stylish! I followed you on GFC and Bloglovin', hope you can follow back soon dear! Estas muy linda!!! Y el toque de sombrero es genial, hace que el conjunto se vea diferente!! Yo hoy tengo una nueva propuesta en mi blog. Un look compuesto por básicos, pero súper femenino y favorecedor, ¿te pasas? Although black is "the color" it´s always good to have some other options, and blue is perfect!! love the outfit. Blue is one of my favorite colours. Blue shirt is such a timeless and versatile piece to have. That's sweet that you could take your dad's shirt. I like your simple and stylish look. wow very cool and stylish outfit! love the blue hat, it looks great with the shirt and shorts! Ohlalallalaaaa tu es PARFAITE ! Love this outfit, the shirt looks great! You look super chic! You look lovely! Love the hat. Fab outfit :) I can't wait until Alexander Wang's collection launches either! I love that hat, the second from last picture is my fave - beautiful! 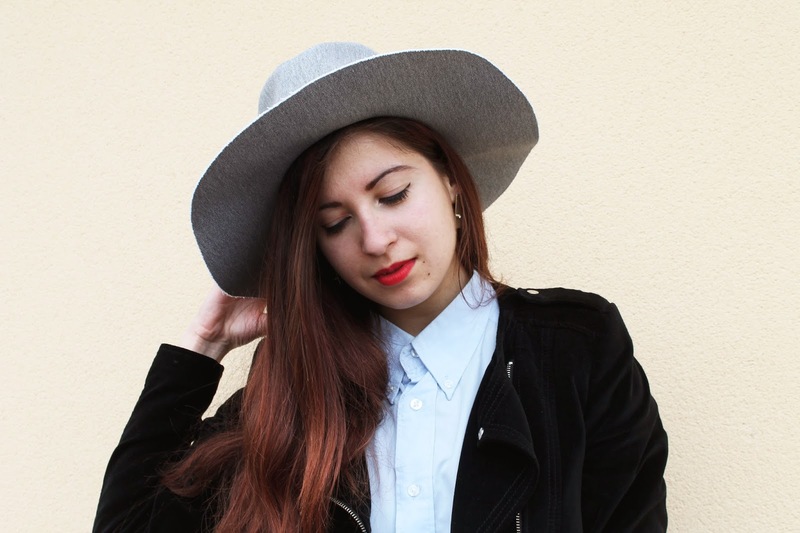 Great outfit, love the photos and your hat and top is perfect!